Join UCLibraries and IT@UC for a workshop on Research Reproducibility and Data Visualization using R (part of the Data and Computational Science Series (funded by the Provost Office through a universal provider grant). On April 16th, Dr. Mine Cetinkaya-Rundel, Associate Professor at Duke University and Data Scientist & Professional Educator at RStudio will be on campus to give a presentation about Reproducible Research and conduct a workshop on Data Visualization in R.
The day’s schedule is below. The venue will be the Data Visualization Space in the Geology-Math-Physics Library – 240H Braunstein Hall. These events are free and open to all. Visit the Faculty One Stop website to register. More information about the DCSS 2019 series can be found on the DCSS website . Description: This workshop will introduce scalable data analytics and machine learning. It is a two-day, hands-on workshop using Hadoop, Spark and TensorFlow. No prerequisites, although some familiarity with Python would be helpful. When: Tuesday Feb 12th and Wednesday Feb 13th from 11 am to 5 pm. 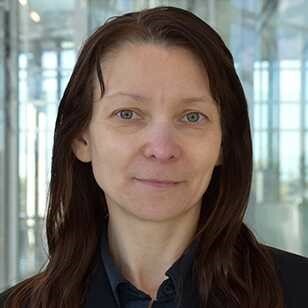 Olga Scrivner is a research scientist at Cyberinfrastructure for Network Science Center (CNS) in the School of Informatics, Computing, and Engineering at Indiana University, a faculty fellow at the Center of Excellence for Women in Technology, and a corporate faculty in Data Analytics at Harrisburg University of Science and Technology. 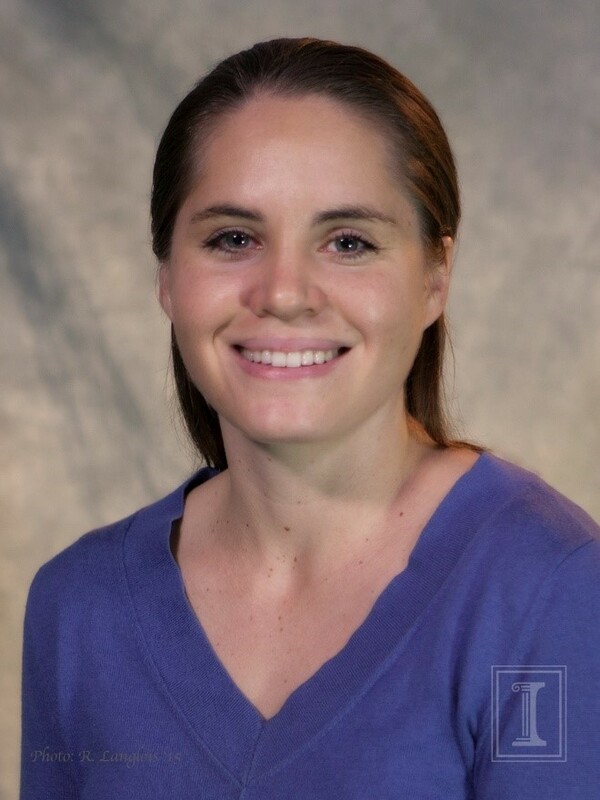 She has substantive expertise in developing web application tools for data mining and visualization using Shiny and R. Her current research at CNS focuses on mapping of occupational landscape and educational attainment, with specific emphasis in understanding the healthcare workforce in the areas affected by opioid epidemic. Wednesday November 28 in Langsam Library room 475 LUNCH WILL BE PROVIDED. Current shift in scientific landscape toward cross-disciplinary teams, evolving cyberinfrastructure and complex data requires a new kind of data analysis and visualization tools. 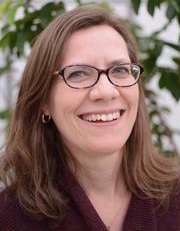 This talk will introduce a visualization framework developed at Cyberinfrastructure for Network Science Center (CNS) at Indiana University, founded and directed by Professor Katy Börner, Victor H. Yngve Distinguished Professor of Engineering and Information Science (http://cns.iu.edu). This two hour hands-on workshop will step through the process of building, visualizing, deploying, and sharing Shiny web applications. Learning this workflow will enable you to build your own interactive tools that can be used for research and teaching. On Nov 3rd, the Red Cross and UC libraries partnered to hold a second Missing Maps Mapathon. Missing Maps is an open, collaborative project in which you can help to map areas where humanitarian organisations are trying to meet the needs of vulnerable people. During the mapathon, participants used the Open Street Map platform to identify buildings in satellite images and place them on a regional map (georeference). The Red Cross uses this information to set up emergency services in areas that are impacted by natural disasters such as floods and earthquakes. The mapping will be verified by Red Cross volunteers working in the mapped country and will help prepare response teams in the area to better assist if disaster strikes. 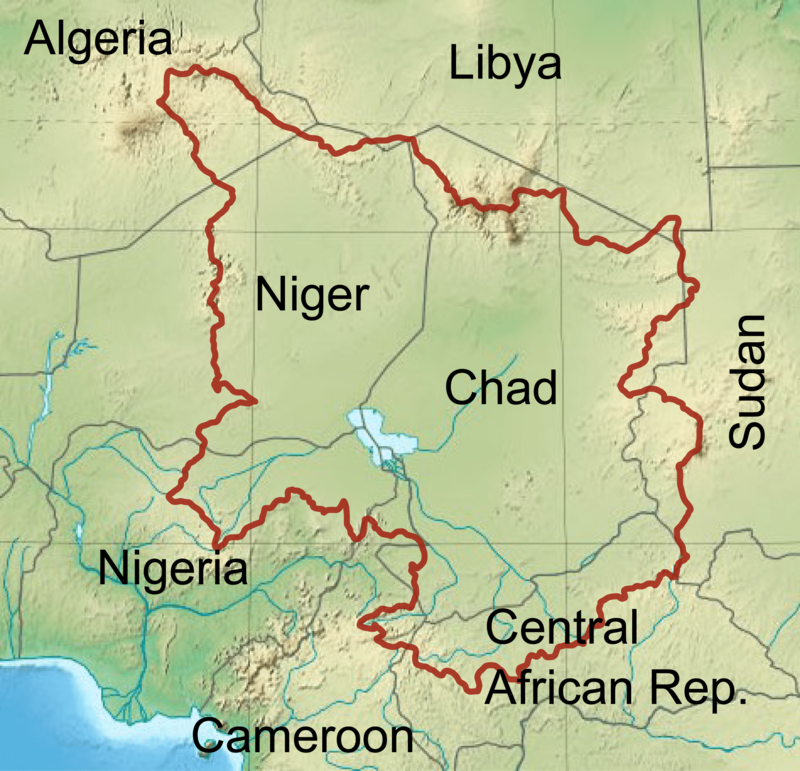 This year’s project covered three areas in the Lake Chad region in Niger. This region of the world is experiencing a great humanitarian crisis due to poor infrastructure, conflict, poverty, and climate change. It has been reported that nearly 17 million people are affected by the dire situation and 10.7 million are in need of humanitarian assistance. The International Red Cross has been working in the area for thirty years and coordinates efforts with local relief agencies. 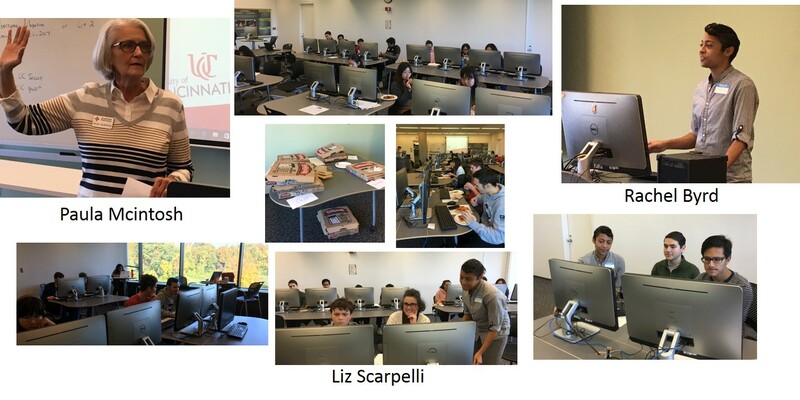 At this year’s event, UC Geography student Rachel Byrd led UC Cincinnatus Scholar students, UC Librarian Amy Koshoffer, UC Press Director Liz Scarpelli, and Red Cross International Services Manager Paula McIntosh through the 4 hour mapping session. In the span of four hours, volunteers were able to map three regions around the lake and identified 6065 buildings. Many thanks to all who participated and contributed to the mission of the Red Cross. My research area in Botany focuses on plant population biology and genetics and I have a deep interest in the evolution of invasive species. I am also very interested in publication patterns regarding research involving hotspot areas of biodiversity. My lab has been considering the question of whether researchers from developing countries, which have the most biodiversity hotspots, receive adequate credit for their work. We are currently working on a project examining publishing bias in the scientific literature about plant conservation genetics. This collaboration is in partnership with UC Libraries’ Digital Scholarship Center and is one of several collaborations funded by a $900,000 Andrew W. Mellon Foundation awarded to the Center. 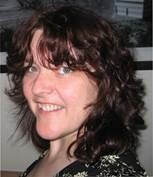 I am also interested in this topics in my role as Editor-in-Chief for Applications in Plant Sciences. 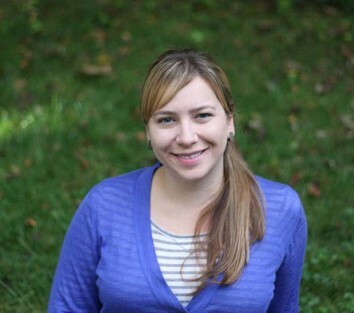 Why did you chose to use the OSF to organize your research/projects? I am an advocate for data sharing and reproducible research. In an editorial I wrote for Applications in Plant Sciences, I highlighted the many reasons to ensure access to data and major considerations behind why researchers may not want to share data. A resource like the open science framework is an excellent tool for promoting transparency and reproducibility and advancing the field at an accelerated pace. The OSF helps to manage the entire project and especially makes it easy to share data within our research group and with collaborators. This is a great place to manage the active parts of a project, and link all the different tools that members of a research group use . We also have the ability to archive data and content here and look forward to a possible integration into our Institutional Repository in the future. What about the OSF makes this tool a good choice for your project management (i.e. specific function of the OSF)? Some of my team members prefer to use Dropbox and some are using Box. Using the OSF makes it possible to bring all the different tools we are using under one project umbrella. And it helps us to track activity on the project. Currently our project is not public, but we hope to share components in the future. The Center for Open Science has been a great resource for our lab and the journal Applications in Plant Sciences. In August 2016, the journal adopted the TOP guidelines, along with its sister journal, American Journal of Botany. 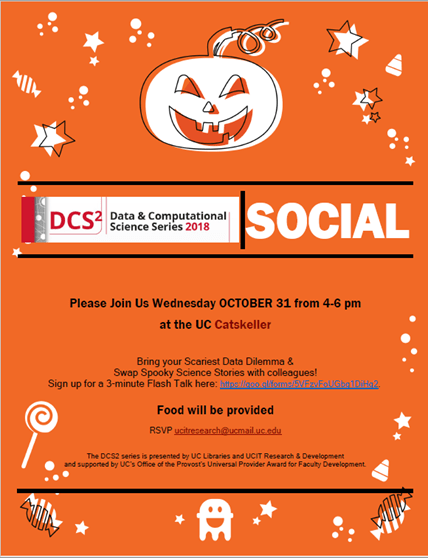 Bring your Scariest Data Dilemma & Swap Spooky Science Stories with colleagues! Sign up for a 3-minute Flash Talk here: https://goo.gl/forms/5VFzvFoUGbg1DiHq2. Please join the Data and Computational Science Series (DCSS) team for a (free!) ‘Understanding Science Gateways’ presentation & lunch with Dr. Sandra Gesing, Computational Scientist, University of Notre Dame. Science Gateways – also called virtual research environments or virtual labs – allow science and engineering communities to access shared data, software, computing services, instruments and other resources specific to their disciplines and use them also in teaching environments. The U.S. Science Gateways Community Institute (SGCI) provides free resources, services, experts, and ideas for creating and sustaining science gateways. In the last decade mature complete science gateway frameworks have evolved such as HUBzero, Galaxy, Agave and Apache Airavata. Successful implementations have been adapted for several science gateways, for example, the technologies behind the science gateways CIPRES, which is used by over 25.000 users to date and serves the community in the area of large phylogenetic trees. Lessons learned from the last decade include that approaches should be technology agnostic, use standard web technologies or deliver a complete solution. Independent of the technology, the major driver for science gateways are the user communities and user engagement is key for successful science gateways. The US Science Gateways Community Institute (SGCI), opened in August 2016, provides free resources, services, experts, and ideas for creating and sustaining science gateways. It offers five areas of services to the science gateway developer and user communities: the Incubator, Extended Developer Support, the Scientific Software Collaborative, Community Engagement and Exchange, and Workforce Development. The talk will give an introduction to science gateways, examples for science gateways & an overview on the services offered by the SGCI to serve user communities & developers for creating successful science gateways. Please mark your calendars on November 14, 2018 as UC Libraries will join the Department of Geography & GIS, GISSA and the Geography Graduate Student Association in celebrating National GIS Day. This year’s speaker will be Dr. Daniel Sui , Vice President for Research, University of Arkansas and former Division Director for Social and Economic Sciences (SES) at the U.S. National Science Foundation. On Nov 3rd, The Red Cross will hold their second Missing Maps Mapathon at UC Libraries in 475 Langsam from 10 am to 2 pm. 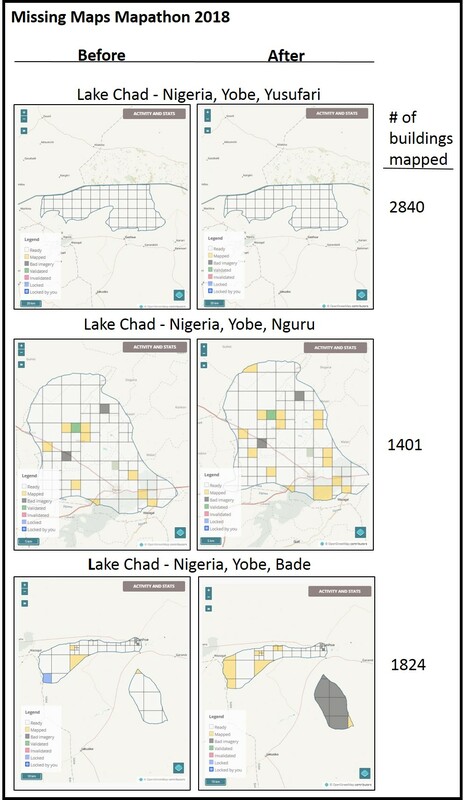 The information collected from a Mapathon helps the Red Cross identify the best locations to bring in emergency supplies, where to house emergency operations and what local resources they can collaborate with in emergency response efforts. In order to participate, you do not need extensive mapping experience. The maps are creating using the Open Street Map platform and you can learn quickly by watching these training videos (1. Create an Open Street Map account, 2. Learn to map buildings). If you are interested to participate, please register here – https://goo.gl/forms/b2sAl9zlS4ajSklg1 and watch the training videos. A Pizza lunch will be provided for attendees. Please bring a drink or refillable water bottle. This is a great and fun way to get service hours if you need them. Please contact Amy Koshoffer – ASKDATA@UC.EDU if you have questions about the event. More information is provided in the attached flyer.